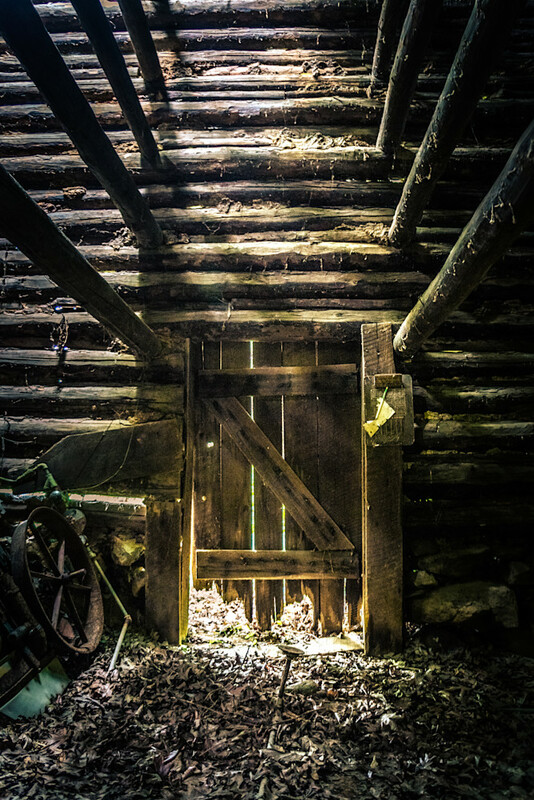 Inside a barn is a whole universe, with its own time zone and climate and ecosystem, a shadowy world of swirling dust illuminated in tiger stripes by light shining through the cracks between the boards. Old leather tack, lengths of chain, rope, and baling twine dangled from nails and rafters and draped over stall railings. Generations of pocketknives lay lost in the layers of detritus on the floor. If those rafters could only talk. They would tell us the stories of hot summer days; farmers, their children and helpers, priming tobacco, tying the leaves to hand hewn sticks, then being lifted up to the men carefully balancing themselves to hang the tobacco on those rafters to cure. They would tell the stories of farmers sleeping just outside at night to make sure the humidity and temperature were just right. The stories they would tell to pass the time.